At the age of 68, Terry’s father had suffered two heart attacks. Terry had approached his father about discussing the need for a last will and testament and if he had thought about pre-arranging funeral plans. “I immediately got shut down. Back then, the mentality was ‘let’s not talk about it because maybe it will go away,'” Terry said. After several attempts, his mother discouraged pushing the issue further, and he decided to drop it. According to Terry, it was a wake-up call for him and his wife. They were adamant that they would not leave their three children with no direction as to their wishes. 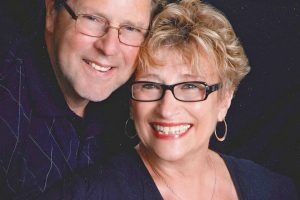 The two of them took a class on funeral planning, created a will and completed advance care directives. 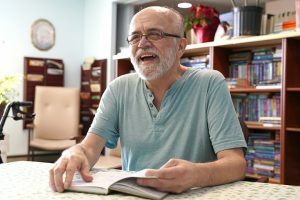 At 72 years old, Terry has composed a lifetime of unique experiences, many heartwarming and a number of them more challenging. “I just know in my heart that completing a health care directive has to be done because of those experiences. I am very passionate about advance care planning because I just think it’s the right thing to do for your family,” he explained. Do you have a written plan stating what kind of health care treatments you would or would not want if you could not speak for yourself? If you would like help completing your health care directive, please contact us and we’ll arrange a time convenient for you to have a crucial conversation.